New Mexico offers three schools with master's in communication programs - two traditional on-campus programs and one fully online program that allows students to complete their degree from anywhere around the state. 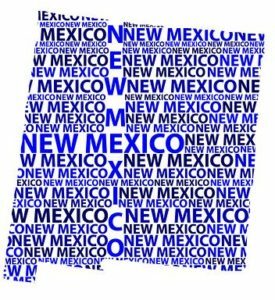 Programs in New Mexico allow students to focus their studies on a variety of areas of communication, including organizational communication, public relations, marketing, healthcare communication and many others. Whether they choose an online or on-campus program, graduates of these master's programs will be well prepared for doctoral programs or communication careers in one of New Mexico's key industries including travel and tourism, military and government, oil and gas, healthcare, and education. In addition to local media outlets across the state, there are several specialty marketing, public relations and communications companies based in Albuquerque that may provide employment opportunities for master's program graduates. New Mexico State University offers a Master of Arts in Communication Studies on its campus in Las Cruces. What to Know: The Master of Arts in Communication Studies program prepares students for Ph.D. work or for a wide range of professional careers in communication. Coursework explores a variety of areas, including political communication, organizational communication, interpersonal communication, intercultural communication, health communication, persuasion and new technologies. What Does It Cost? : Graduate level tuition and fees for the 2018-2019 academic year run $301 per credit hour for New Mexico residents taking less than 15 credits per semester, or $3,246 per semester if taking 15 or more credits. For non-residents, tuition and fees are $364 per credit hour for less than 6 credits, $929 per credit hour if taking between 6 and 14 credits, and $12,046 per semester if taking more than 15 credits. Anything Else? : Application deadlines for the program are February 15th and November 15th. The University of New Mexico in Albuquerque offers a Master of Arts in Communication program in a traditional on-campus format. What to Know: The Master of Arts in Communication program offers courses in the late afternoon and early evening to accommodate working students, and is designed to be completed in two years of full-time study. The program includes coursework in intercultural communication, health communication, rhetorical communication, media studies, interpersonal communication and organizational communication. What Does It Cost? : The estimated cost of attendance as a graduate student for the 2018-2019 academic year is $8,343 for New Mexico residents, and $24,147 for non-residents. Anything Else? : The application deadline for the fall semester is January 15. Eastern New Mexico University offers an online Master of Arts in Communication program. What to Know: The Master of Arts in Communication program is offered fully online, with an option to take some courses on campus if the student so chooses. The students also have the choice between a thesis or non-thesis option, and coursework prepares students for careers in various areas of the communication field, including public relations, journalism, marketing, education, sales and government relations. What Does It Cost? : Graduate level tuition and fees for the 2018-2019 academic year are $3,388 per semester for full-time students who are New Mexico residents. The cost of graduate level tuition and fees for full-time students who are non-residents is $374 per credit hour. Anything Else? : Applications are reviewed on a rolling basis.